9. 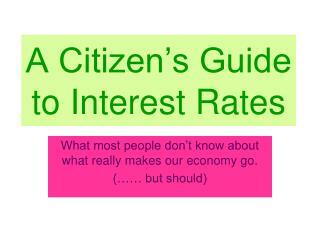 Interest Rates. 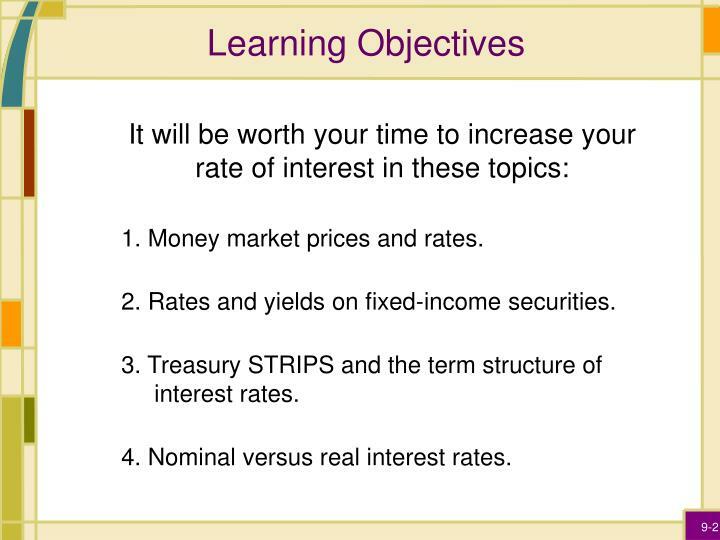 Learning Objectives. 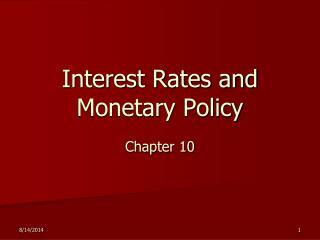 It will be worth your time to increase your rate of interest in these topics: 1. 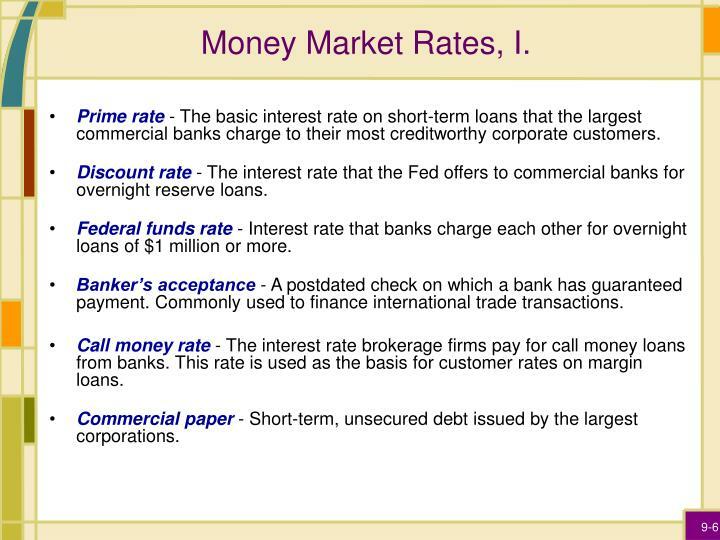 Money market prices and rates. 2. Rates and yields on fixed-income securities. 3. 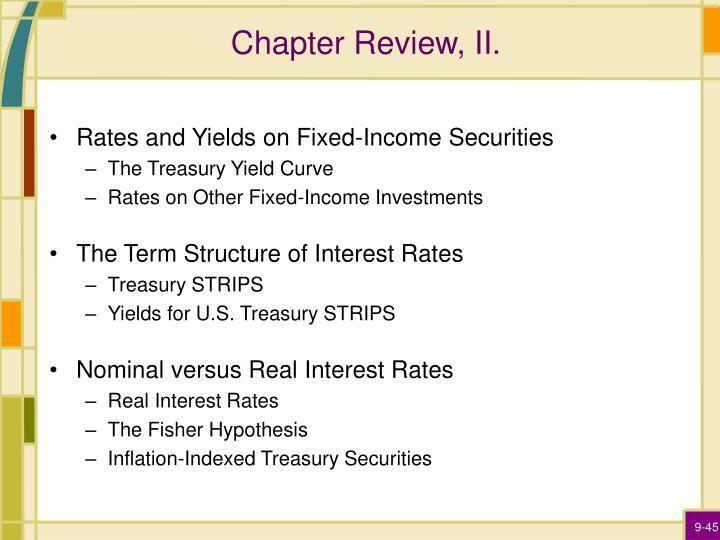 Treasury STRIPS and the term structure of interest rates. 1. 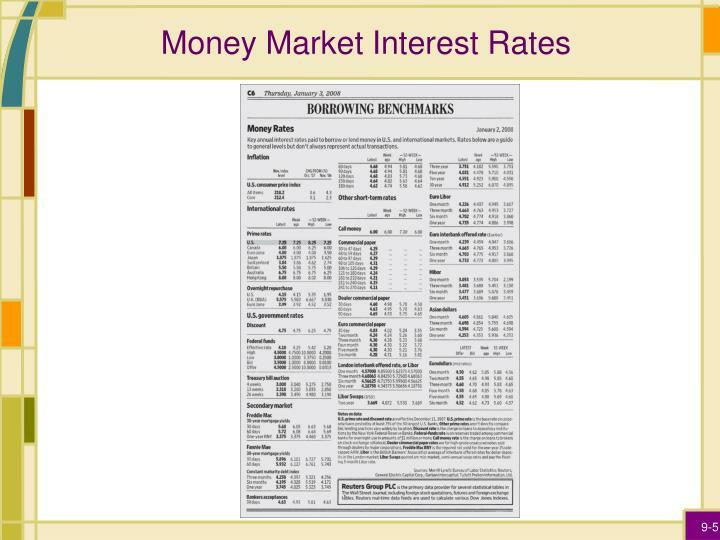 Money market prices and rates. 2. Rates and yields on fixed-income securities. 3. 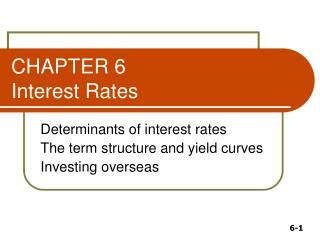 Treasury STRIPS and the term structure of interest rates. 4. 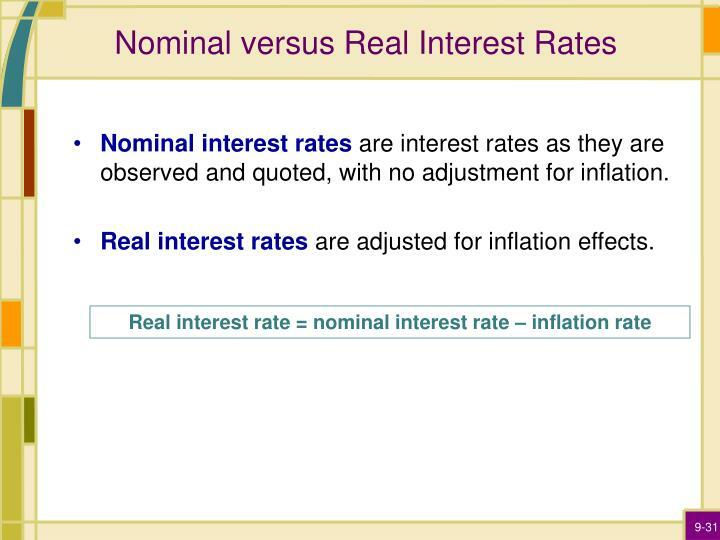 Nominal versus real interest rates. Our goal in this chapter is to discuss the many different interest rates that are commonly reported in the financial press. 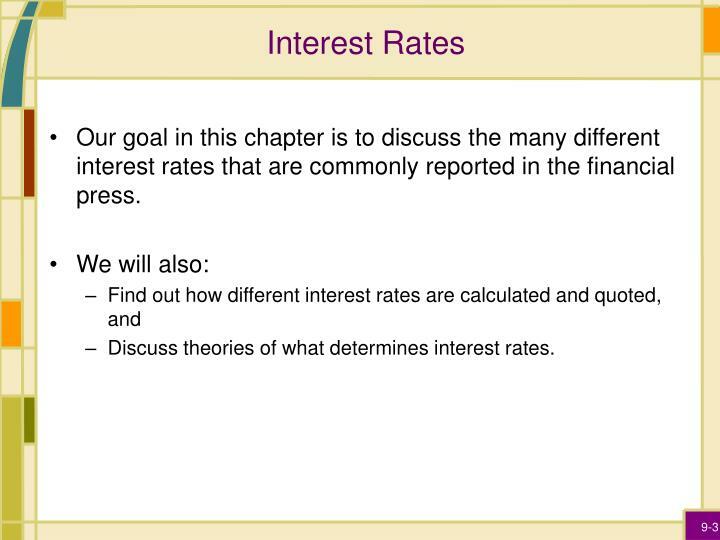 Discuss theories of what determines interest rates. 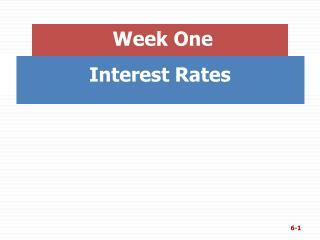 Prime rate - The basic interest rate on short-term loans that the largest commercial banks charge to their most creditworthy corporate customers. 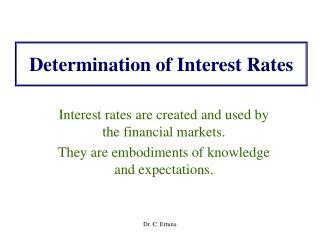 Discount rate - The interest rate that the Fed offers to commercial banks for overnight reserve loans. 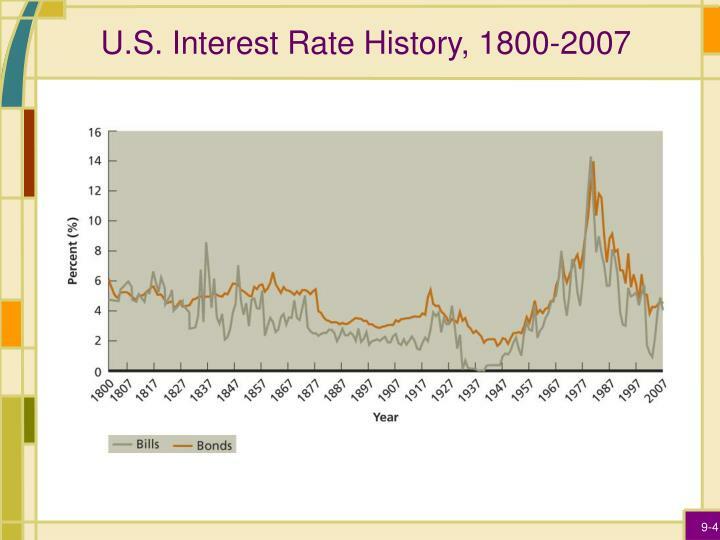 Federal funds rate - Interest rate that banks charge each other for overnight loans of $1 million or more. 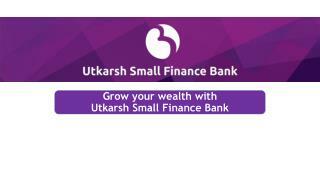 Banker’s acceptance - A postdated check on which a bank has guaranteed payment. Commonly used to finance international trade transactions. 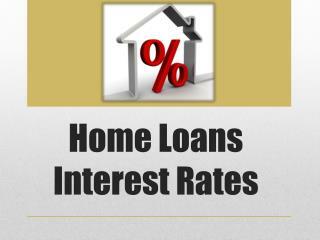 Call money rate - The interest rate brokerage firms pay for call money loans from banks. 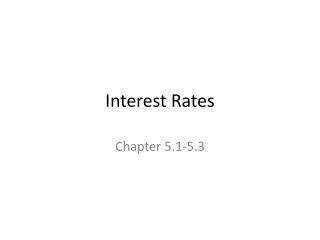 This rate is used as the basis for customer rates on margin loans. Commercial paper - Short-term, unsecured debt issued by the largest corporations. 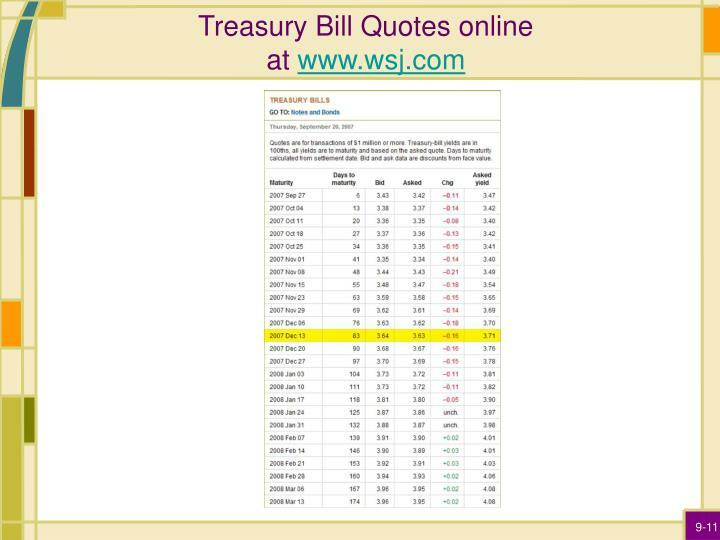 U.S. Treasury bill (T-bill) - A short-term U.S. government debt instrument issued by the U.S. Treasury. 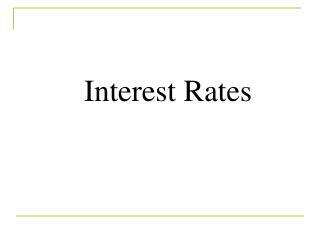 London Interbank Offered Rate (LIBOR) - Interest rate that international banks charge one another for overnight Eurodollar loans. 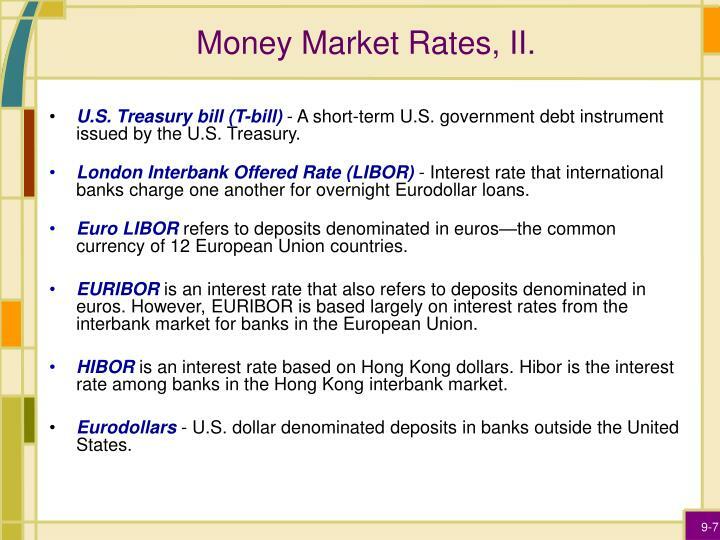 Euro LIBOR refers to deposits denominated in euros—the common currency of 12 European Union countries. EURIBOR is an interest rate that also refers to deposits denominated in euros. 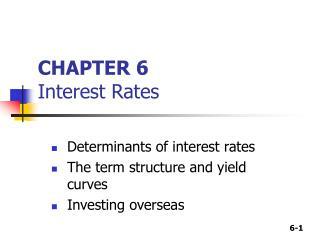 However, EURIBOR is based largely on interest rates from the interbank market for banks in the European Union. HIBOR is an interest rate based on Hong Kong dollars. Hibor is the interest rate among banks in the Hong Kong interbank market. Eurodollars - U.S. dollar denominated deposits in banks outside the United States. It makes a singlepayment of face value at maturity. It makes no payments before maturity. 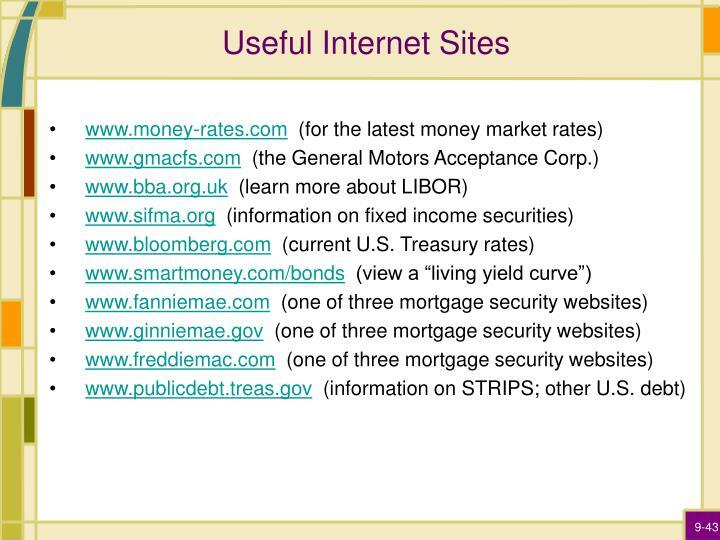 There are several different ways market participants quote interest rates. 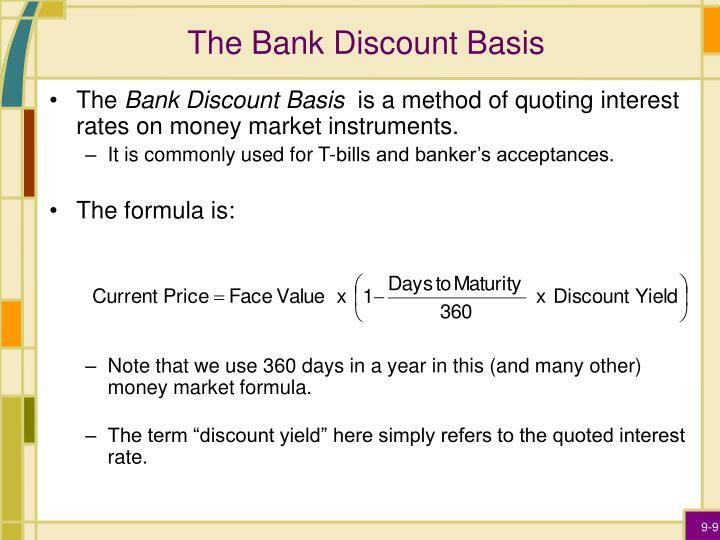 The Bank Discount Basis is a method of quoting interest rates on money market instruments. It is commonly used for T-bills and banker’s acceptances. Note that we use 360 days in a year in this (and many other) money market formula. 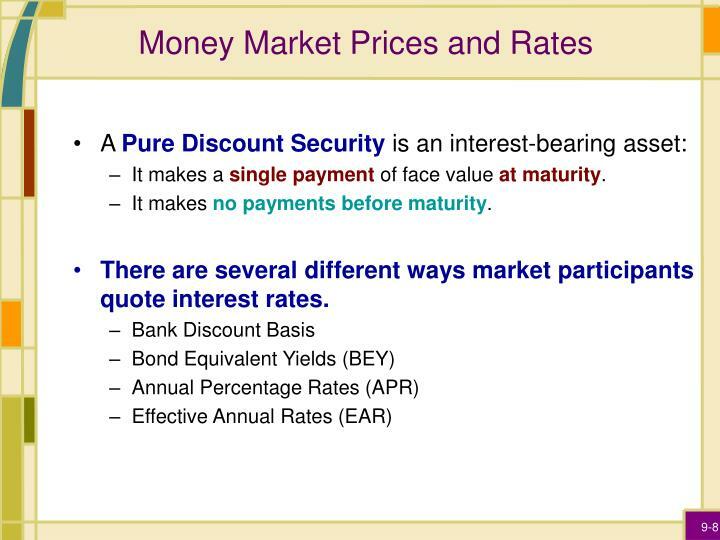 The term “discount yield” here simply refers to the quoted interest rate. Suppose a banker’s acceptance that will be paid is 90 days has a face value of $1,000,000. 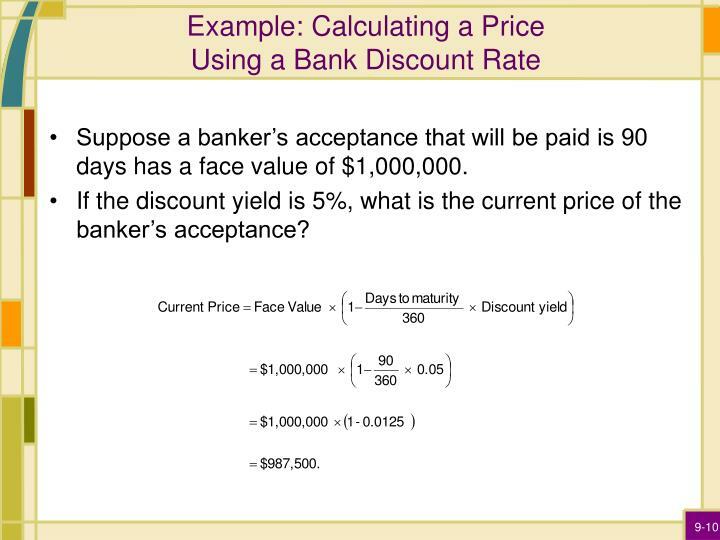 If the discount yield is 5%, what is the current price of the banker’s acceptance? 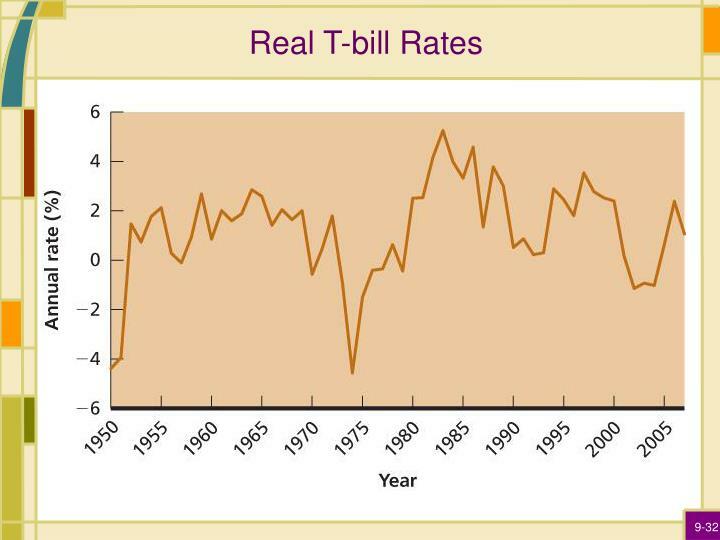 Figure 9.3 shows a T-bill that expires December 13, 2007. It has 83 days to maturity. The bid discount is 3.64 (you use this to calculate the bid price, i.e., the price you will receive for the T-bill). Prices are quoted for $1,000,000 face values. 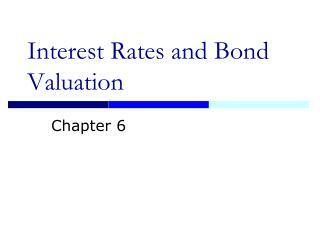 Bond Equivalent Yields (BEY) are another way to quote an interest rate. 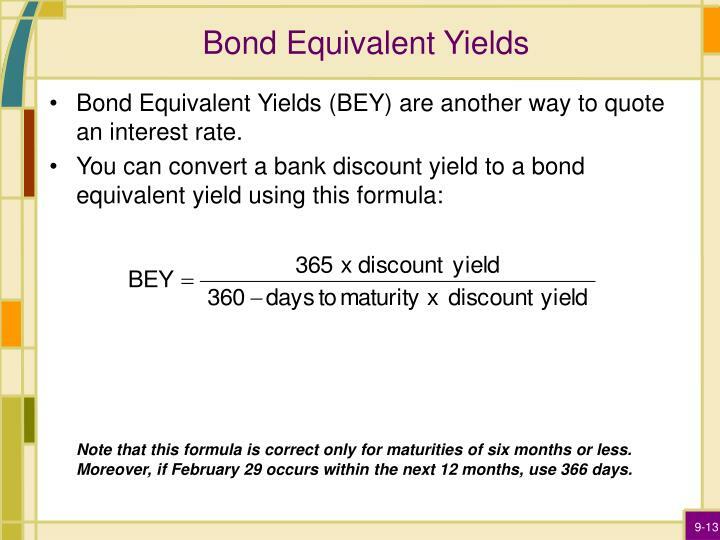 Note that this formula is correct only for maturities of six months or less. Moreover, if February 29 occurs within the next 12 months, use 366 days. Remember to multiply before you subtract. The bid discount is 3.64. 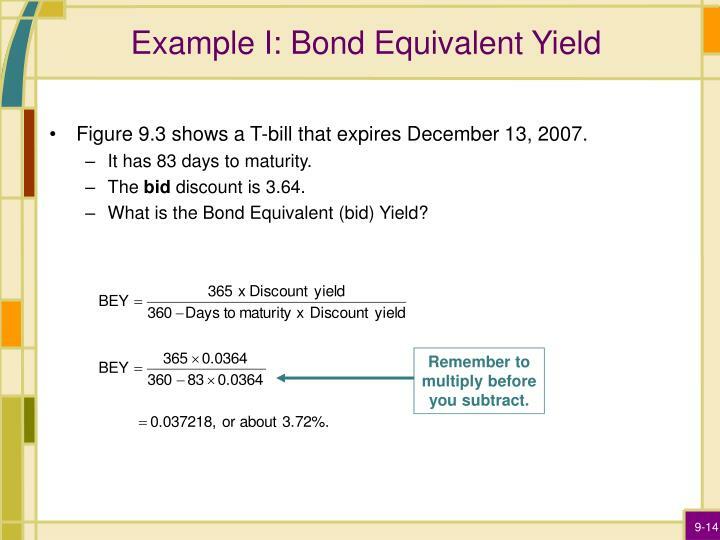 What is the Bond Equivalent (bid) Yield? 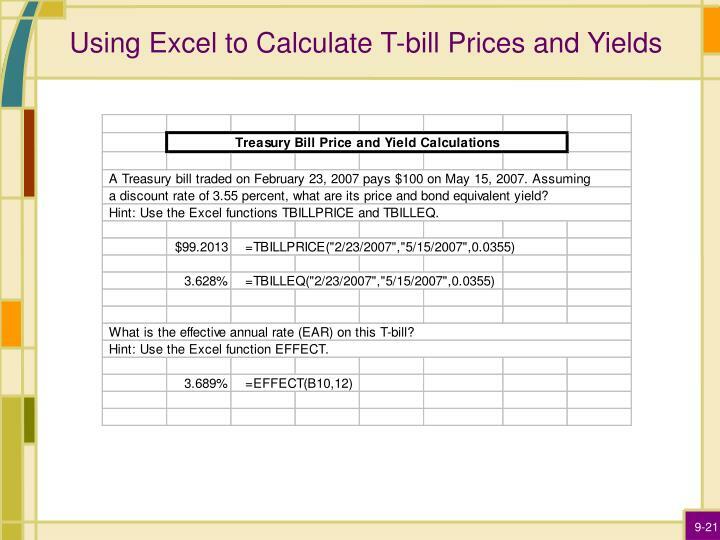 We can calculate a Treasury bill asking price using the “asked” yield, which is a bond equivalent yield. 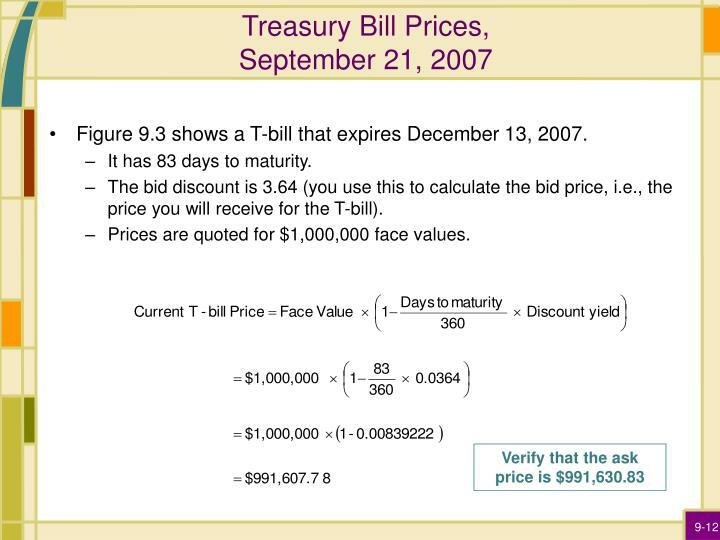 Look at Figure 9.3 for the T-bill that expires on December 13, 2007. The ask yield is 3.63. 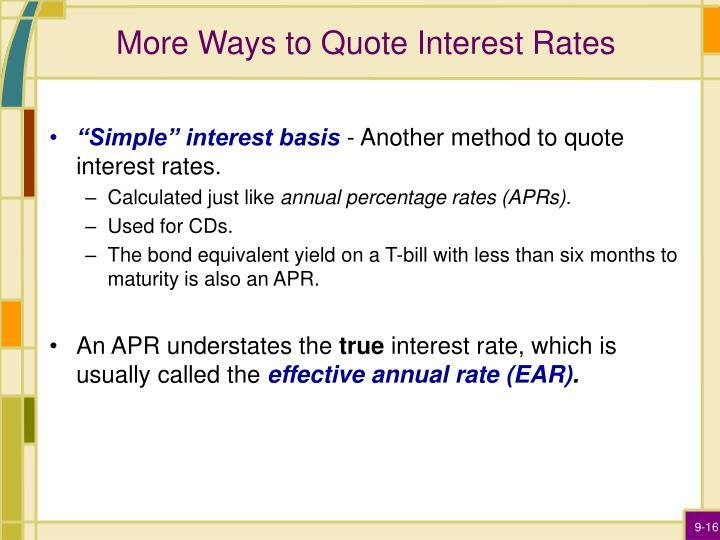 “Simple” interest basis - Another method to quote interest rates. 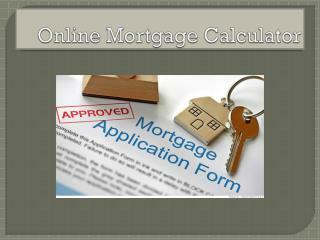 Calculated just like annual percentage rates (APRs). 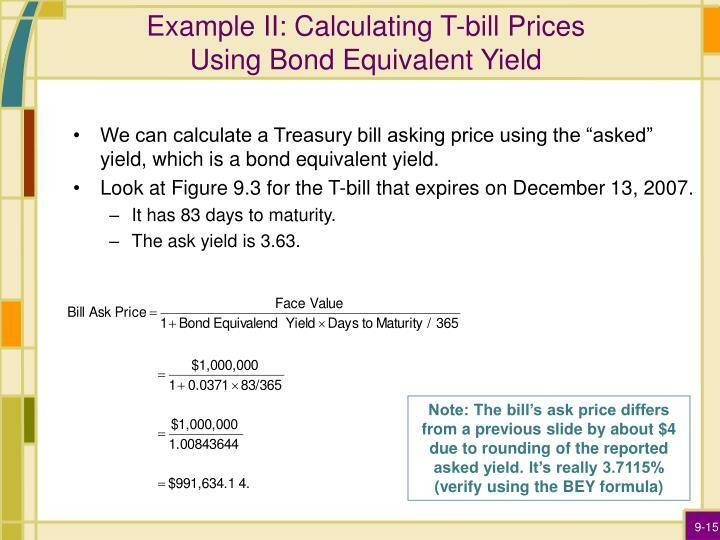 The bond equivalent yield on a T-bill with less than six months to maturity is also an APR. 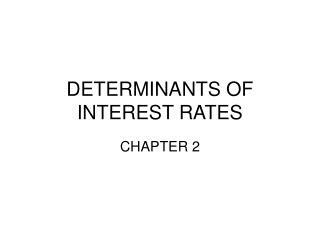 An APR understates the true interest rate, which is usually called the effective annual rate (EAR). 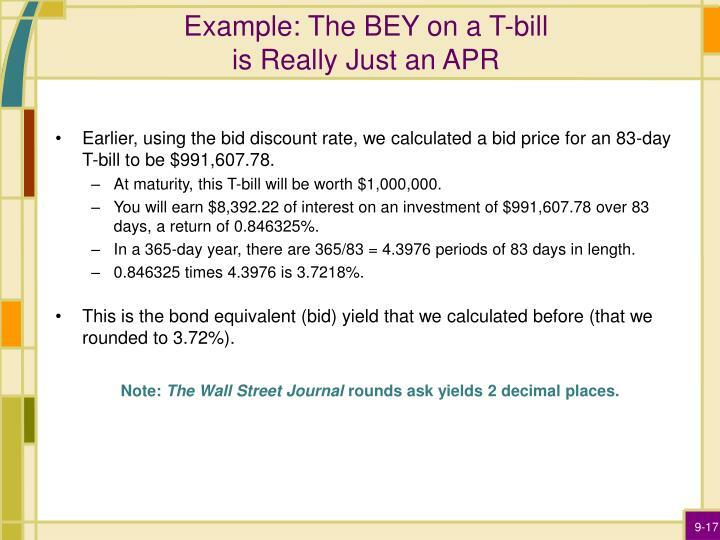 Earlier, using the bid discount rate, we calculated a bid price for an 83-day T-bill to be $991,607.78. At maturity, this T-bill will be worth $1,000,000. You will earn $8,392.22 of interest on an investment of $991,607.78 over 83 days, a return of 0.846325%. In a 365-day year, there are 365/83 = 4.3976 periods of 83 days in length. 0.846325 times 4.3976 is 3.7218%. This is the bond equivalent (bid) yield that we calculated before (that we rounded to 3.72%).Note: The Wall Street Journal rounds ask yields 2 decimal places. 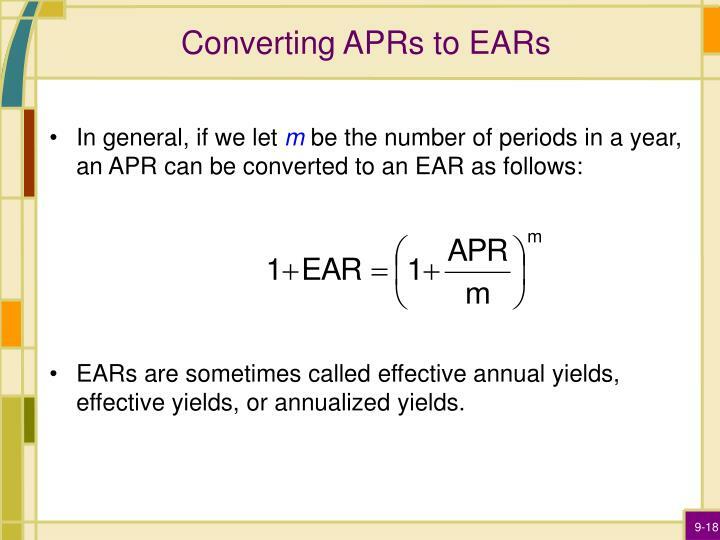 EARs are sometimes called effective annual yields, effective yields, or annualized yields. 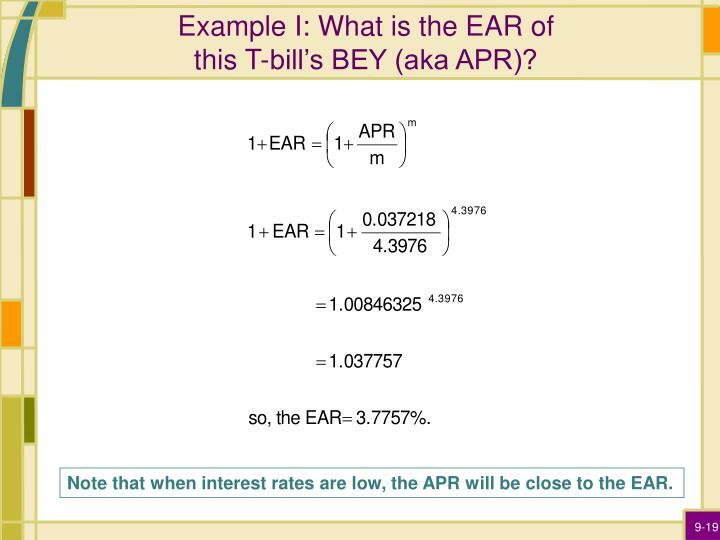 Example I: What is the EAR of this T-bill’s BEY (aka APR)? Note that when interest rates are low, the APR will be close to the EAR. 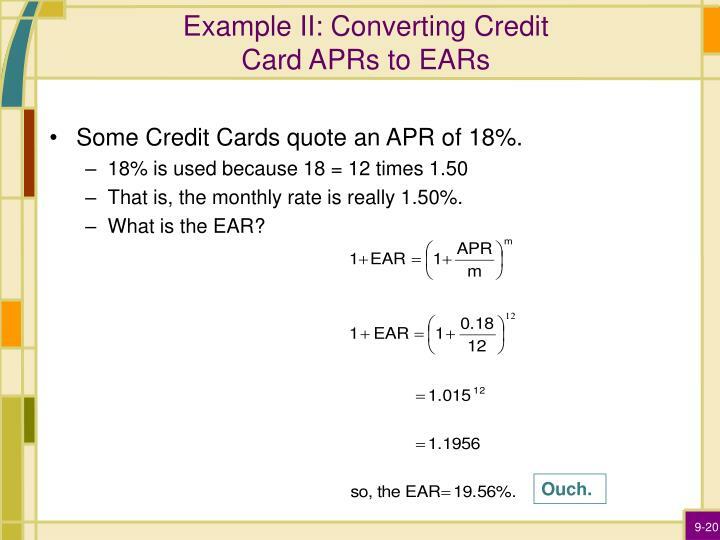 Some Credit Cards quote an APR of 18%. That is, the monthly rate is really 1.50%. 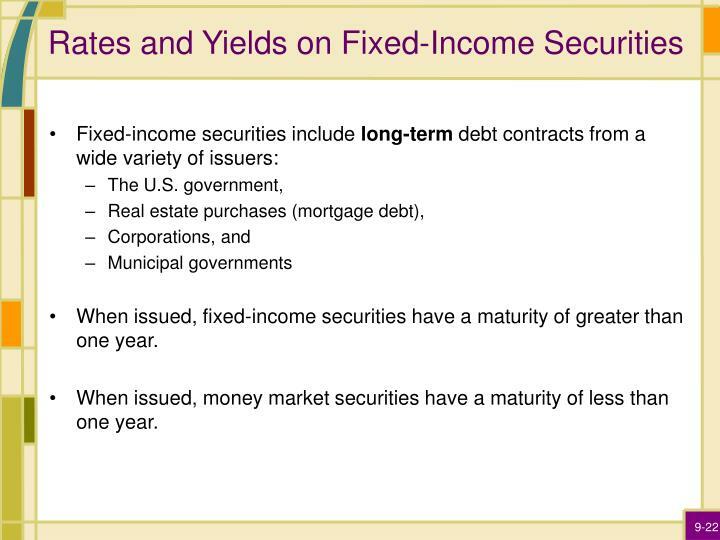 When issued, fixed-income securities have a maturity of greater than one year. When issued, money market securities have a maturity of less than one year. 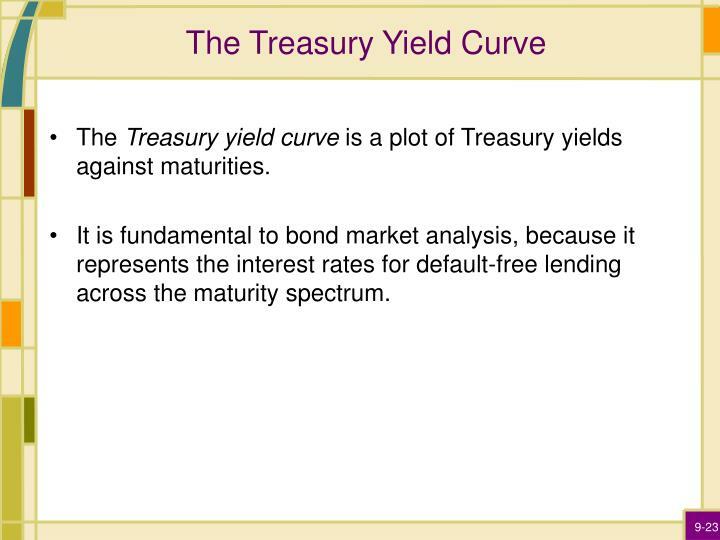 The Treasury yield curve is a plot of Treasury yields against maturities. It is fundamental to bond market analysis, because it represents the interest rates for default-free lending across the maturity spectrum. 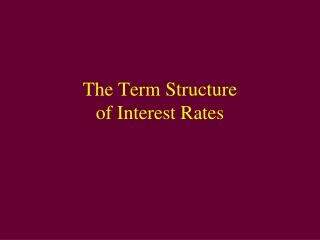 The Term Structure of Interest Rates, I. 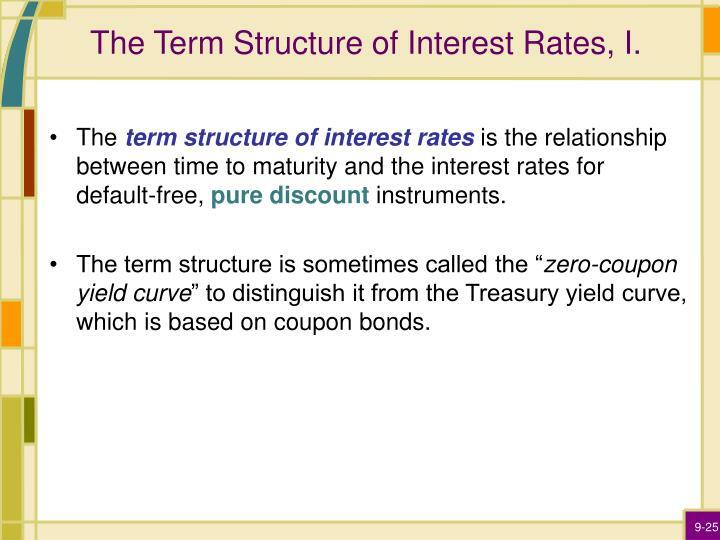 The term structure of interest rates is the relationship between time to maturity and the interest rates for default-free, pure discount instruments. The term structure is sometimes called the “zero-coupon yield curve” to distinguish it from the Treasury yield curve, which is based on coupon bonds. 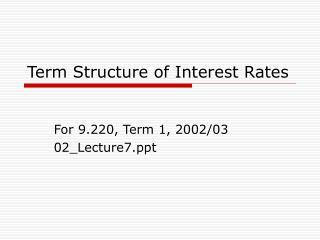 The Term Structure of Interest Rates, II. 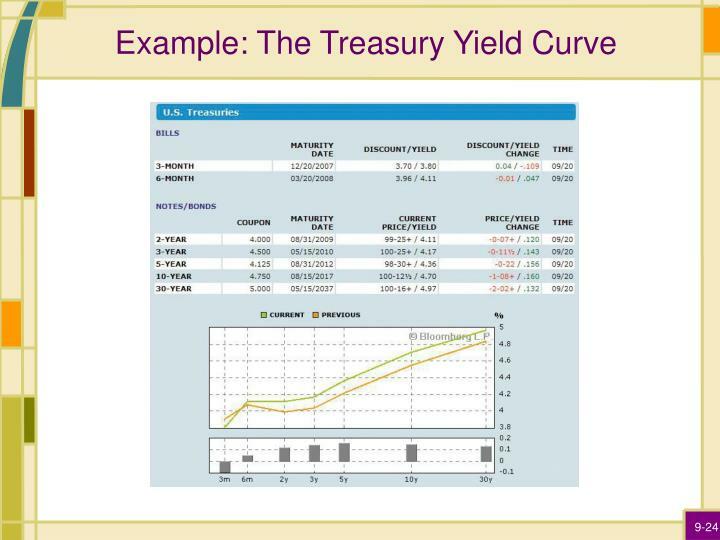 The term structure can be seen by examining yields on U.S. Treasury STRIPS. 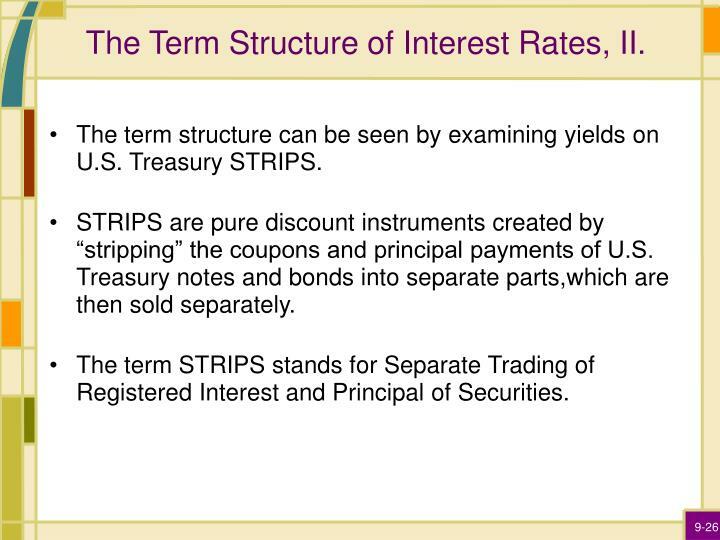 STRIPS are pure discount instruments created by “stripping” the coupons and principal payments of U.S. Treasury notes and bonds into separate parts,which are then sold separately. The term STRIPS stands for Separate Trading of Registered Interest and Principal of Securities. 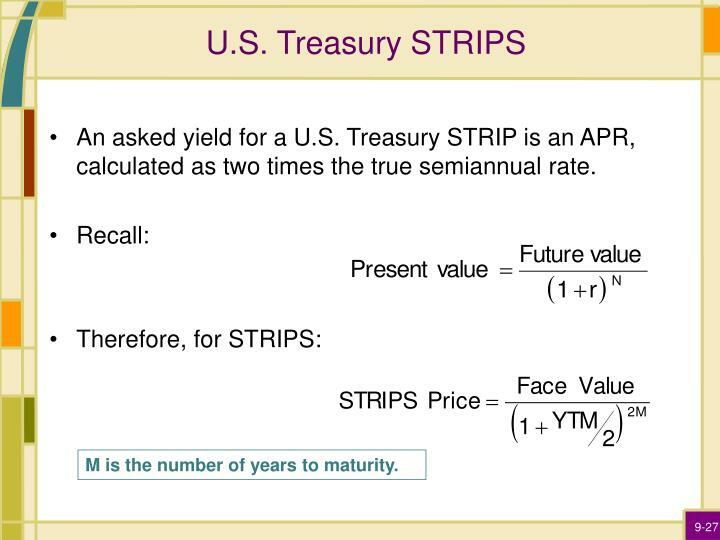 An asked yield for a U.S. Treasury STRIP is an APR, calculated as two times the true semiannual rate. M is the number of years to maturity. 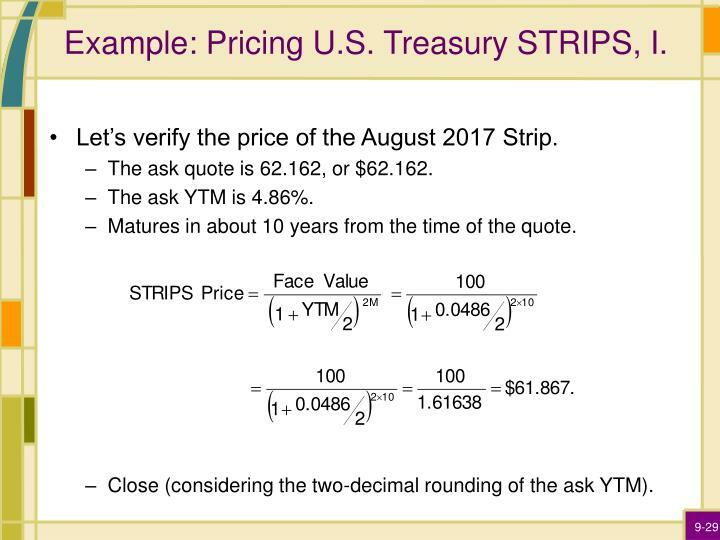 Example: Pricing U.S. Treasury STRIPS, I.
Let’s verify the price of the August 2017 Strip. The ask quote is 62.162, or $62.162. The ask YTM is 4.86%. Matures in about 10 years from the time of the quote. Close (considering the two-decimal rounding of the ask YTM). 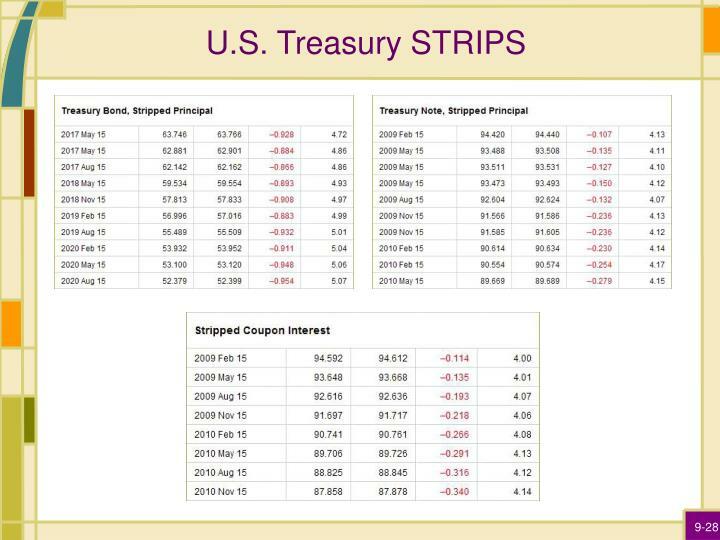 Example: Pricing U.S. Treasury STRIPS, II. 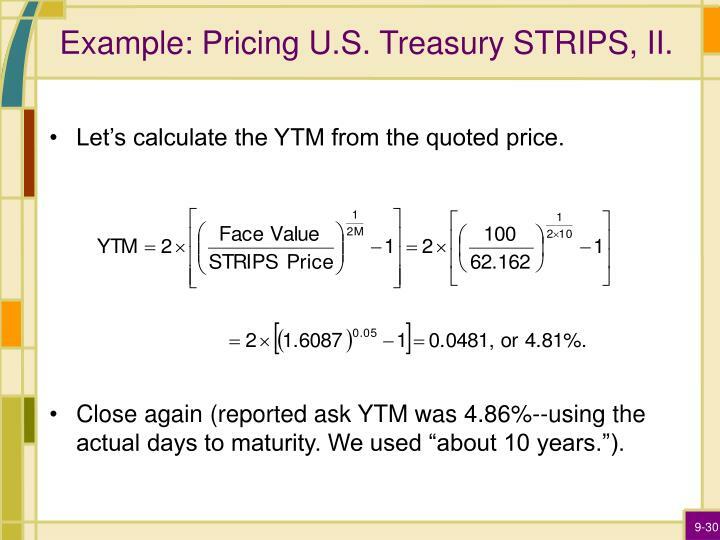 Let’s calculate the YTM from the quoted price. Close again (reported ask YTM was 4.86%--using the actual days to maturity. We used “about 10 years.”). 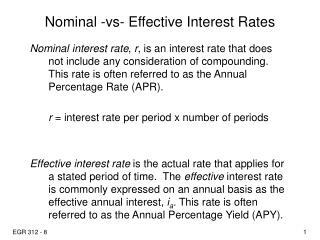 Nominal interest rates are interest rates as they are observed and quoted, with no adjustment for inflation. 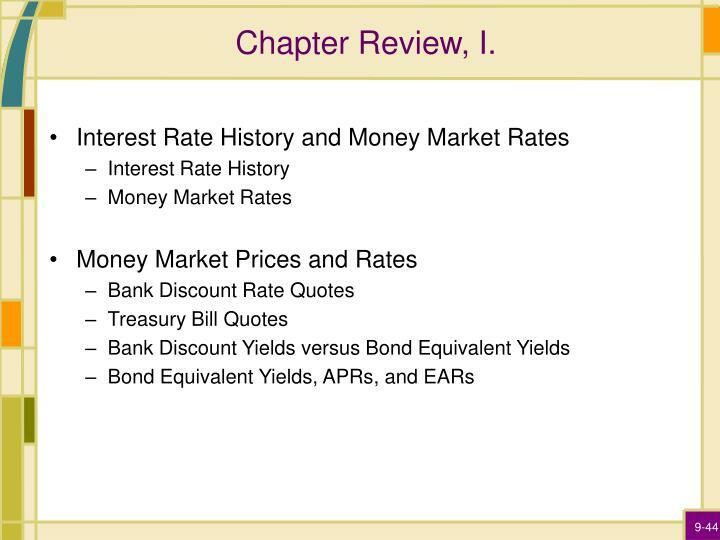 Real interest rates are adjusted for inflation effects. 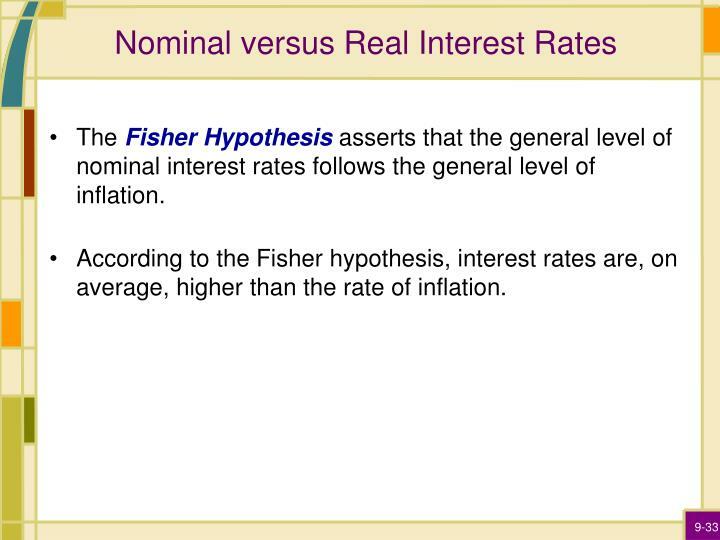 The Fisher Hypothesis asserts that the general level of nominal interest rates follows the general level of inflation. 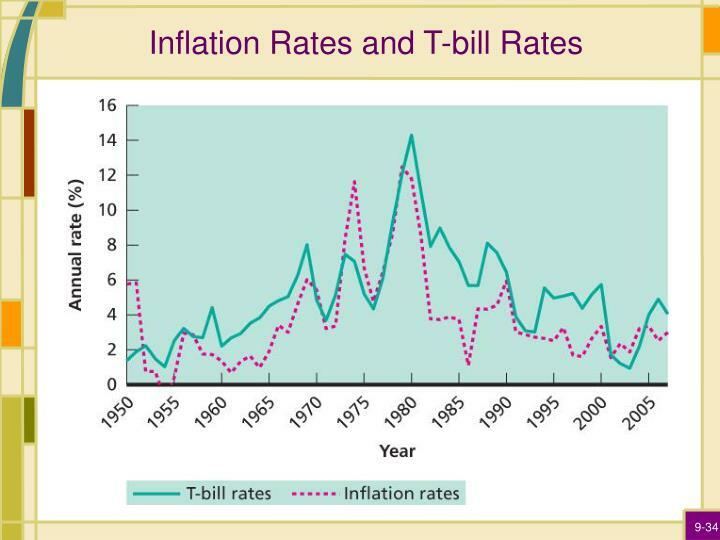 According to the Fisher hypothesis, interest rates are, on average, higher than the rate of inflation. 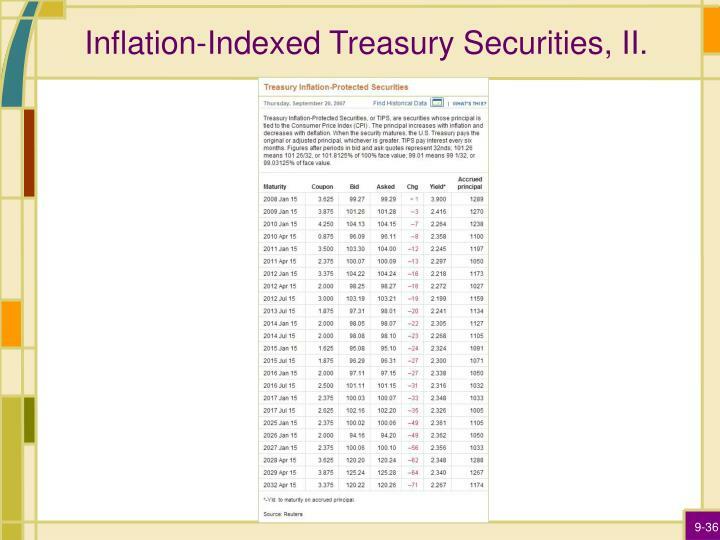 Recently, the U.S. Treasury has issued securities that guarantee a fixed rate of return in excess of realized inflation rates. 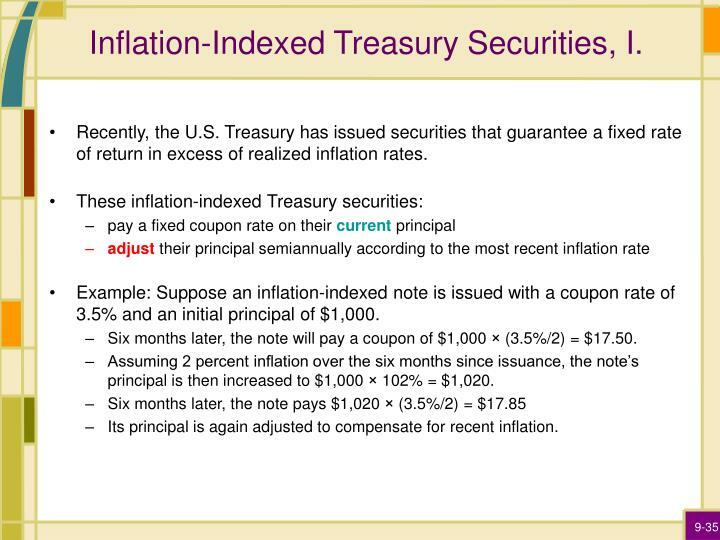 Example: Suppose an inflation-indexed note is issued with a coupon rate of 3.5% and an initial principal of $1,000. Six months later, the note will pay a coupon of $1,000 × (3.5%/2) = $17.50. Assuming 2 percent inflation over the six months since issuance, the note’s principal is then increased to $1,000 × 102% = $1,020. Its principal is again adjusted to compensate for recent inflation. 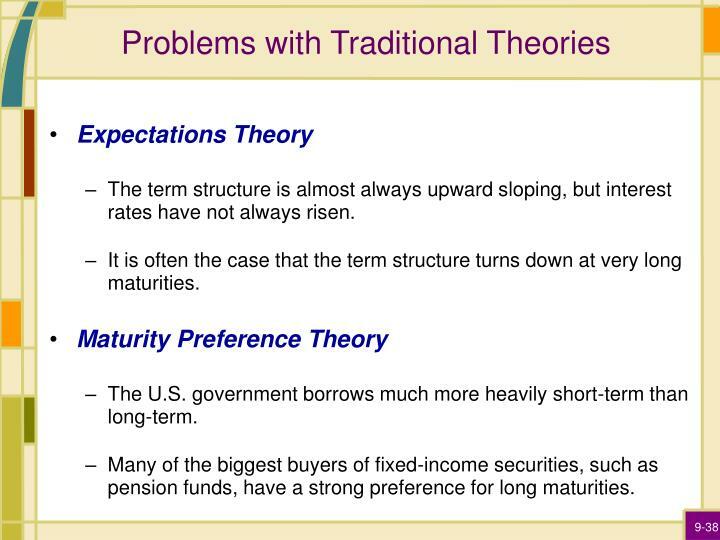 Expectations Theory: The term structure of interest rates reflects financial market beliefs about future interest rates. 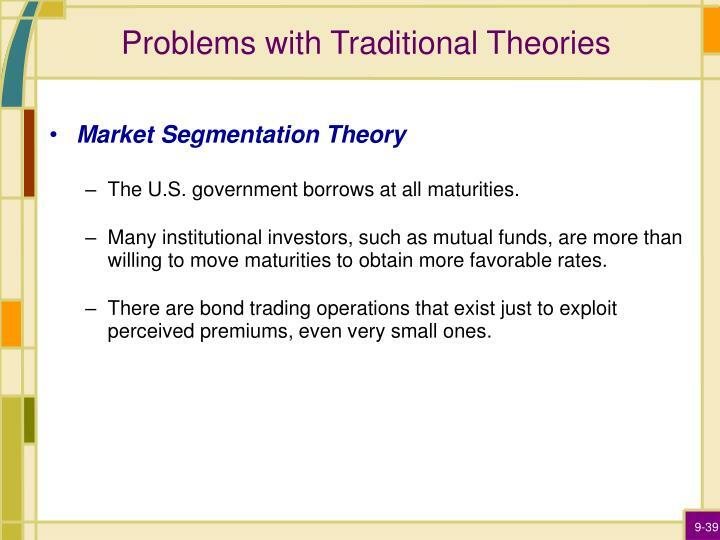 Market Segmentation Theory:Debt markets are segmented by maturity, so interest rates for various maturities are determined separately in each segment. 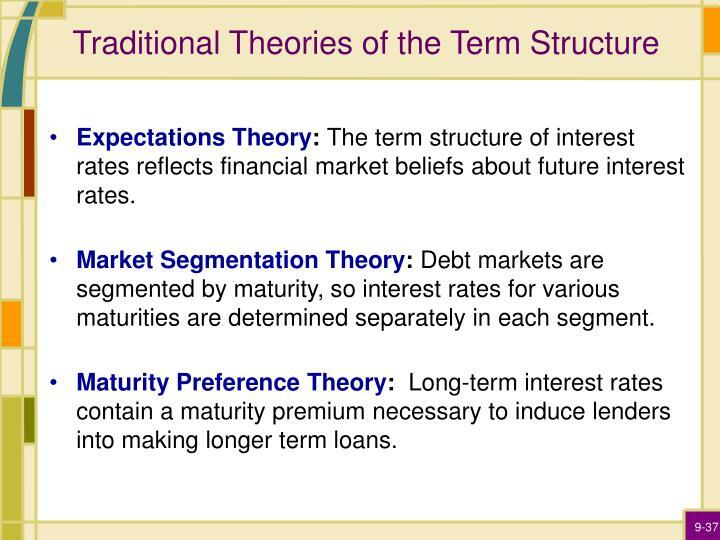 Maturity Preference Theory:Long-term interest rates contain a maturity premium necessary to induce lenders into making longer term loans. 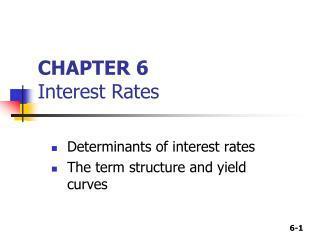 The term structure is almost always upward sloping, but interest rates have not always risen. 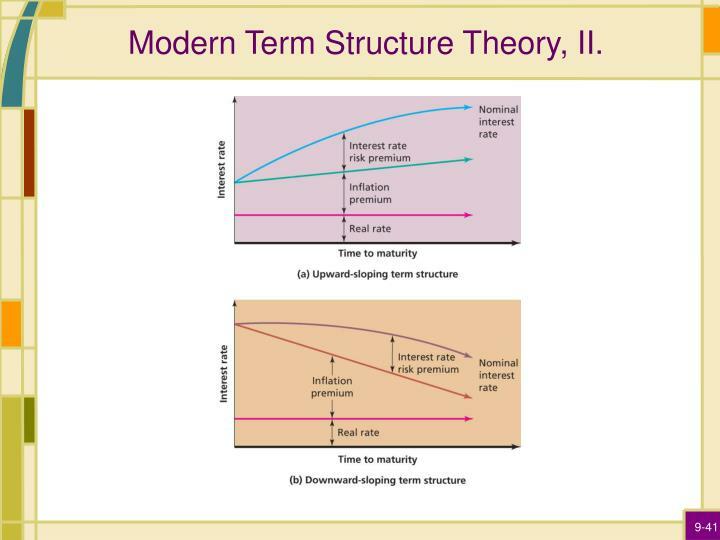 It is often the case that the term structure turns down at very long maturities. The U.S. government borrows much more heavily short-term than long-term. Many of the biggest buyers of fixed-income securities, such as pension funds, have a strong preference for long maturities. The U.S. government borrows at all maturities. Many institutional investors, such as mutual funds, are more than willing to move maturities to obtain more favorable rates. There are bond trading operations that exist just to exploit perceived premiums, even very small ones. 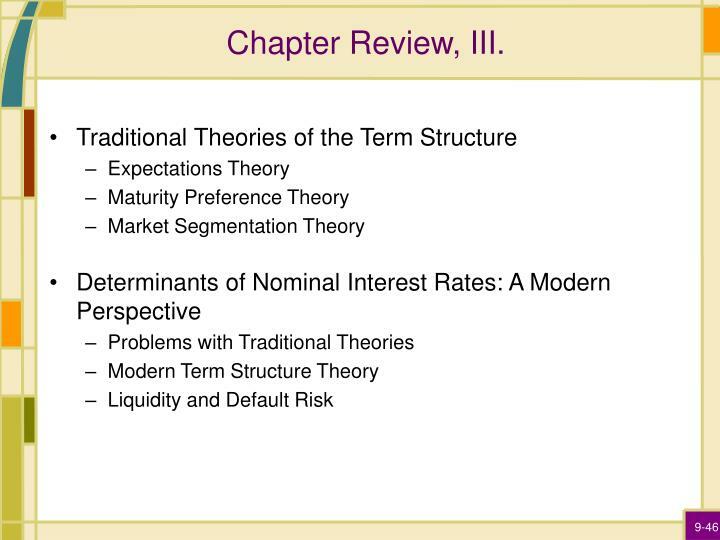 Modern Term Structure Theory, I. 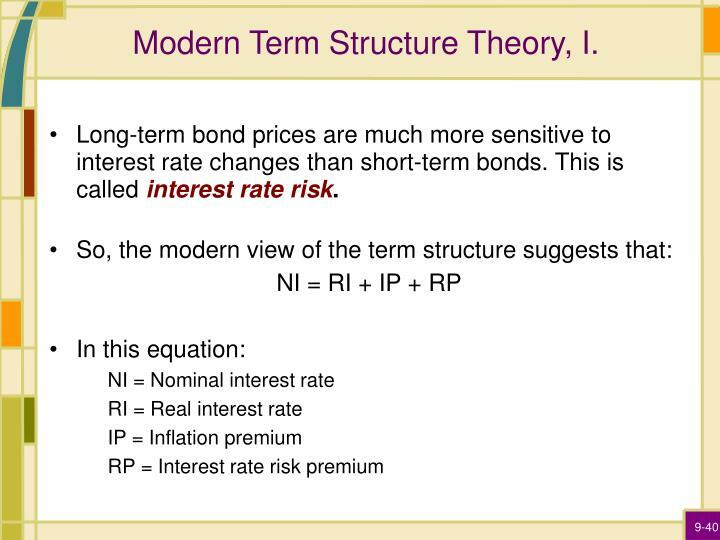 Long-term bond prices are much more sensitive to interest rate changes than short-term bonds. This is called interest rate risk. Modern Term Structure Theory, II. Modern Term Structure Theory, III. 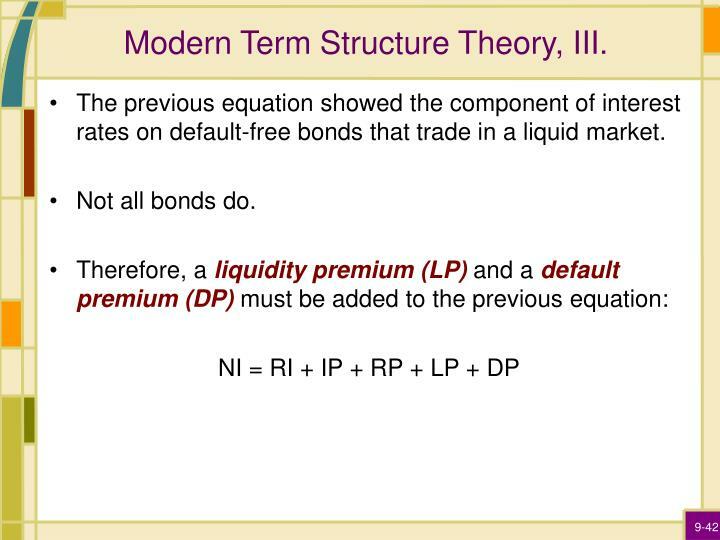 The previous equation showed the component of interest rates on default-free bonds that trade in a liquid market. 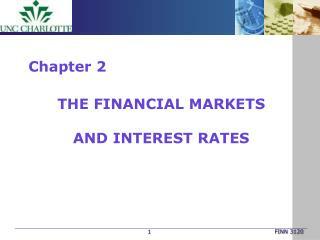 The Financial Markets and Interest Rates -Chapter 2. the financial markets and interest rates. outline. components of us financial market. the investment banking function. 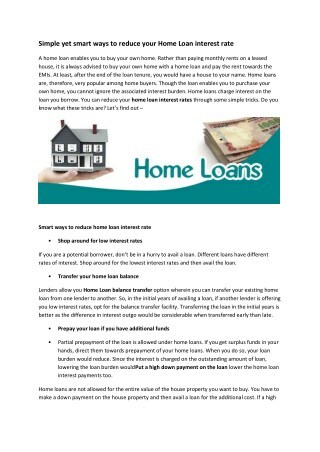 private debt placements. rates of return in the financial market. 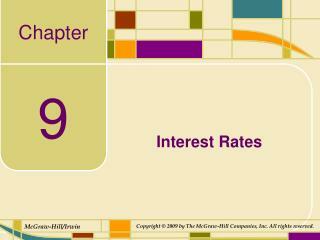 Interest Rates -. outline. 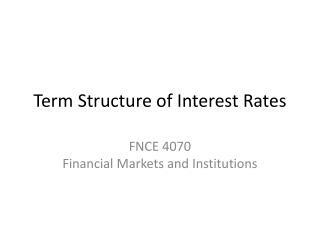 types of rates measuring interest rates zero rates bond pricing determining treasury zero rates forward rates forward rate agreements duration theories of the term structure of interest rates summary. 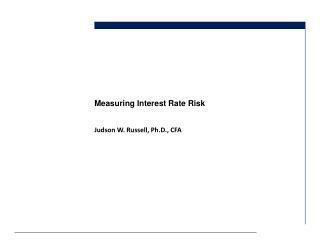 Measuring Interest Rate Risk -. judson w. russell, ph.d., cfa. confidential. draft. 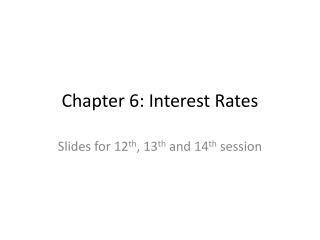 module 1: economy &amp; sovereign risk. debt to nominal gdp. recession – part 2?. sovereign risk - portugal. 5. sovereign risk - france. 6.